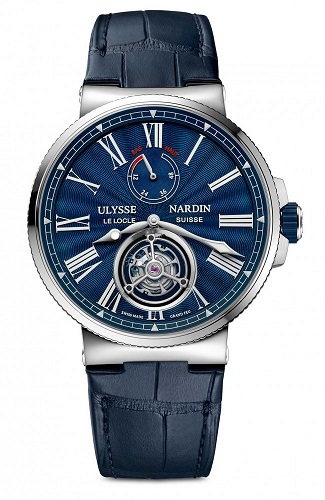 Polished stainless steel, 43mm case, Flying Tourbillon with a BEAUTIFUL, blue color, Grand Feu Enamel dial. It features an automatic with a 60 hour power reserve indicator, and date function. The case back is a sapphire exhibition glass see through back. It is available on elegant alligator leather strap, with a stainless steel folding buckle. PRICE $28,000 dlrs. To purchase this watch CALL US 956.687.2981.